Hrishikesh is using Smore newsletters to spread the word online. 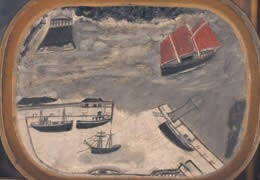 Alfred Wallis was a sailor and fisherman for most of his life. When his wife died, he took up painting. His paintings have a childish look to them but are nevertheless famous. Due to his slight poverty at the time of his wife's death, he used whatever he could to paint including scrap metal and cardboard. He lived for a long time in St. Ives and apparently died there too. Drawn on the back of a tin tray! This painting shows a ship with red sails (apparently the schooner) sailing toward a port. This painting shows a blue ship sailing toward a port. As you can see, the painting was actually drawn on a piece of cardboard. This painting depicts the buildings of St.Ives, where Wallis spent most of his life. These paintings, mainly The Blue Ship and the Schooner Approaching Harbor, were derived from the daily events in Wallis's life. 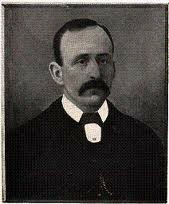 Since he used to be a sailor, he had much knowledge on these events (ships approaching harbors and the like) and obviously could paint them accurately. Since folk culture originates from daily events in life, this is clearly an example of folk culture. 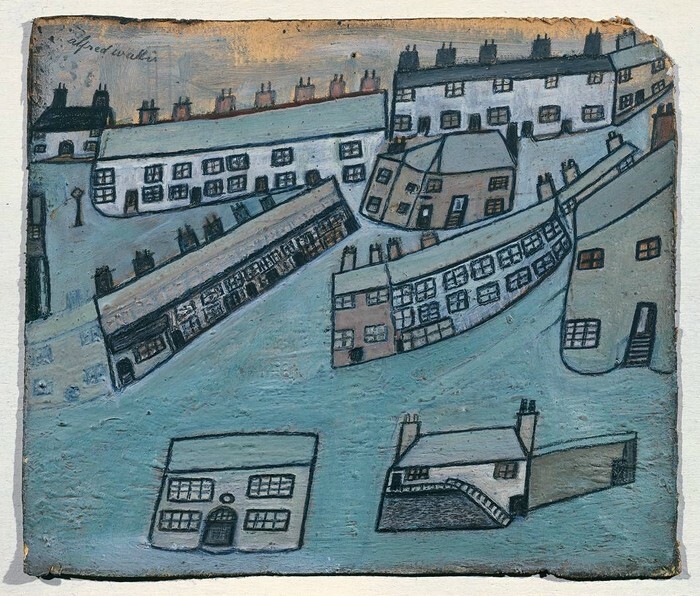 During his career as an artist, or rather, near the start of it, he met two men by names of Christopher Wood and Ben Nicholson who had recently moved there. They liked his paintings and encouraged him to keep making them. As these two spread the word, Wallis and his work became famous. "Alfred WallisHouses at St Ives, Cornwall ?c.1928-42." 'Houses at St Ives, Cornwall', Alfred Wallis. Tate Britain, n.d. Web. 19 Nov. 2013. <http://www.tate.org.uk/art/artworks/wallis-houses-at-st-ives-cornwall-t00239>. "Alfred WallisThe Blue Ship ?c.1934." 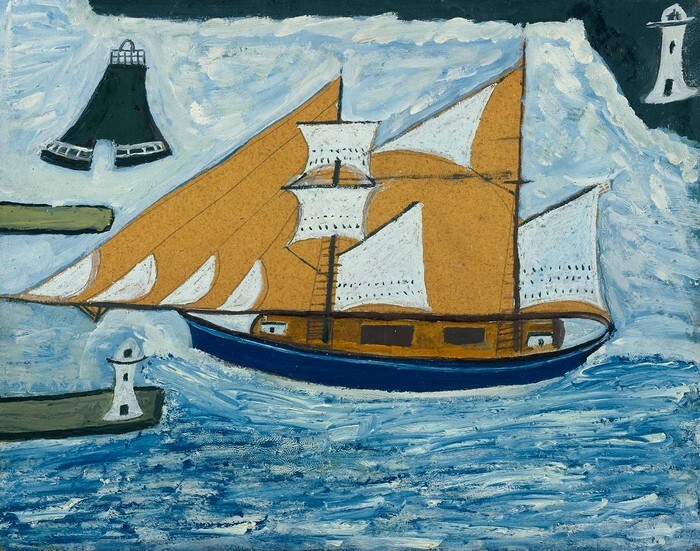 'The Blue Ship', Alfred Wallis. Tate Britain, n.d. Web. 19 Nov. 2013. <http://www.tate.org.uk/art/artworks/wallis-the-blue-ship-t00291>. "The Award Winning Art Gallery in Warwickshire." Compton Verney. Compton Valley, n.d. Web. 19 Nov. 2013. <http://www.comptonverney.org.uk/collections/british_folk_art.aspx>.